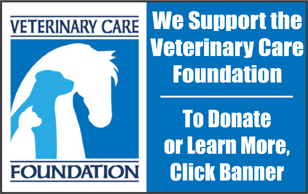 Countryside Veterinary Clinic (CVC) is proud to be the largest provider of veterinary services for pet owners, dairy/livestock farmers and horse owners throughout the North Country. Over the years, CVC has expanded small animal care from the original clinic in Lowville into additional full-service hospitals located in Carthage, Boonville and Otter Lake. The small animal doctors and staff are committed to providing quality medicine and surgery services to all companion animal patients and their owners. Services and facilities are designed to assist in routine preventive care for young, healthy animals; early detection and treatment of disease as your companion animal ages, as well as complete medical and surgical care as necessary during his or her lifetime. Ambulatory veterinarians travel within Lewis, Oneida, Jefferson and St. Lawrence counties serving over 250 dairy, beef and small ruminant clients. 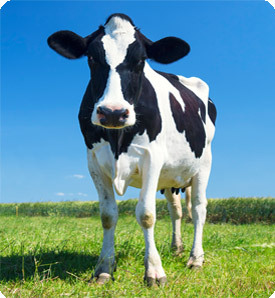 Utilizing advanced techniques in reproduction and herd health services, CVC veterinarians support area farmers that are well known to produce high quality food products while remaining competitive in an increasingly global economy. Equine services are focused on preventative healthcare and vaccinations as well as reproduction and lameness challenges as needed by the significant population of pleasure horse owners in the area. 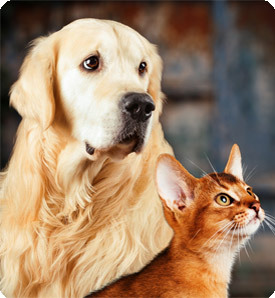 CVC is pleased to offer unique therapeutic and diagnostic options for area pet owners. 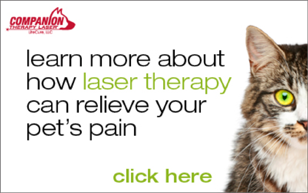 Laser therapy can alleviate pain, reduce inflammation, and accelerate recovery from a wide range of acute and chronic conditions. 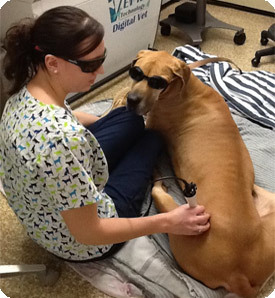 Acute conditions such as wounds, allergies, infections, inflammations, sprains, strains and fractures have been successfully treated with laser therapy, as well as chronic conditions such as degenerative joint disease, periodontal disease, lick granulomas, geriatric care, hip dysplasia, tendonitis, and arthritis. The Oncura Ultrasound system is not only state of the art equipment but also direct real-time support from licensed ultrasonographers to obtain diagnostic ultrasound scans (through webcam) and access to team of board-certified radiologists to assist with interpretation. Orthopedic services have been a continued area of growth for the small animal practice. Most notably, Countryside offers a highly specialized competitively priced ACL Knee Surgery for dogs. In 2003, Dr. Charles Allen perfected a new extracapsular technique that utilizes the patient's own tissue instead of foreign material or devices. Dr. Marcus Hetzner joined the practice in 2004 and also performs this surgery. This technique eliminates many of the complications associated with traditional extracapsular techniques. Patients that have benefitted from this service hail from a broad region of the northeast as well as our local community. 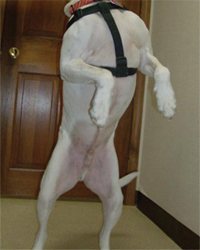 IMAGE: "Kosmo" Post-op at 1 year and 6 months - ACL surgery both legs. Rabies Clinic Information for May 2019.